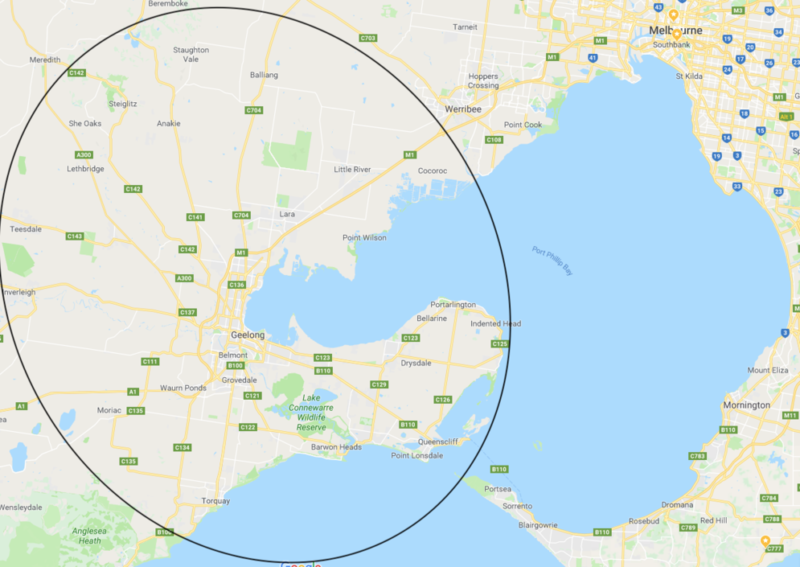 The Geelong wine regions generally encompasses the Bellarine Peninsula, Moorabool Valley, and adjacent rugged surf coast. Though all cool-climate, these different pockets have varied microclimates and terroir, with ranging soil types and growing conditions, resulting in quite a few different varietals coming out of the region. On the whole though, Geelong and Bellarine produce predominantly Pinot Noir, Shiraz and Chardonnay. Wineries in this region range from large to small, with some longstanding and family-owned, and others up-and-coming with talented, adventurous winemakers at the helm. With 40 some cellar doors, fantastic boutique wine shops (like Noble Rot in Point Lonsdale) and restaurants adjoined to many of the wineries with sweeping views of the ocean, farmland and wineries, there is plenty to try and see. Moreover, it’s all in close proximity to the city – in short, this is a must-do day trip (at least) for novice and expert wine lovers alike. This is one of my favourite Australian producers – Gary Farr started making wine at his Bannockburn vineyards in the Moorabool Valley decades ago, growing Pinot Noir, Chardonnay, Gamay, Viognier and Shiraz. In recent years, he’s passed the reins over to his son Nick, who brings his own style and experience to the table. The brand now has two lines – By Farr (by Gary) and Farr Rising (by Nick), showcasing two different generations’ take on the same terroir. If you’ve already read the blog post on Lethbridge Winery, you’ll know I’m a big fan of these guys. Also situated in the Moorabool Valley, Lethbridge boasts a range of entry level to reserve wines. Ray Nadeson and Maree Collis have been in the winemaking business for 20+ years; their scientific backgrounds have brought a unique and innovative approach to what they do, leading them to creative some really interesting and expressive wines. My staples are the Lethbridge Pinot Noir, Menage a Noir and the Between Five Bells range. Oakdene is situated on the Bellarine Peninsula, an hour southeast of Geelong. The proximity to the ocean and long, cool growing season produce really nice fruit, including Chardonnay, Pinot Noir, Shiraz, Sauvignon Blanc, Pinot Gris. The award-winning winery boasts a solid collection of wines. I particularly like Liz’s Chardonnay, which is quite grassy and aromatic, with a good amount of weight and the right balance of creaminess, fruit, spice and oak. Click here to check out some of our other favourite Aussie wine regions, or here to see what we’re digging from around the world.